WHEN THEY ARE GONE – THEY'RE GONE! 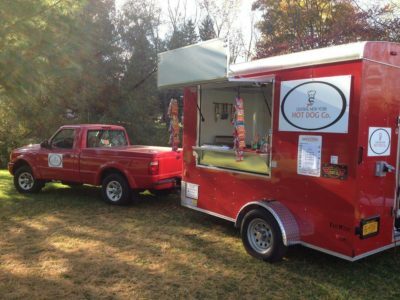 Hot Dog Cart & Catering Cart Year End! Every year we have a few carts left over as we gear up for the next year. This year is without exception and starting RIGHT NOW you'll be able to “steal” a deal on a new hot dog cart or concession trailer. We must move all remaining 2016 stock. ONLY 7 AVAILABLE – YOU MUST HURRY! This means fantastic, below wholesale pricing to you. 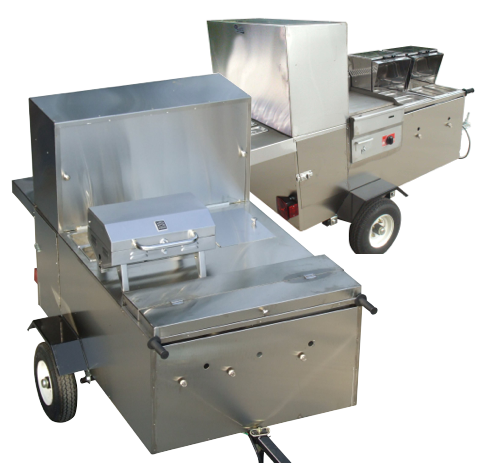 Our most popular hot dog carts are on sale now. 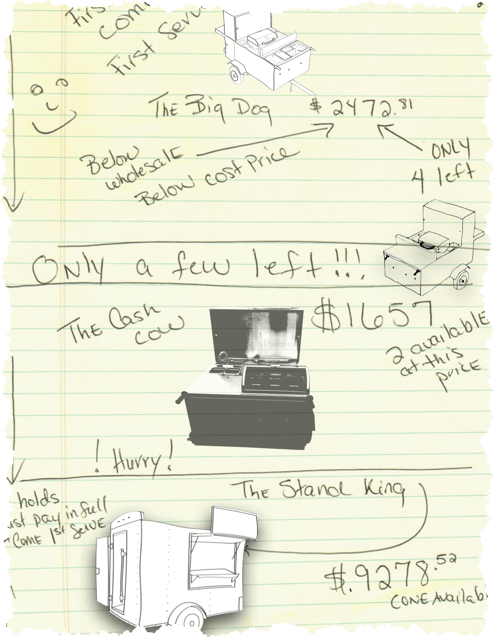 The Cash Cow, The Big Dog, The Stand King are at the lowest prices in our history! These deals are for Hot Dog Mafia Members ONLY! If you aren't a member and would like to join, please click here and take advantage of the biggest deals in our history! 2013 we had only one model available and they sold out in less than 48 hours. 2014 and 2015 it was less than 10 days and every model available was snatched up. 2016 had 28 carts and within a couple weeks… GONE!!! This year we have ONLY 7 carts and a concession trailer at unheard of pricing. BUT YOU MUST ORDER FAST! This year we are opening the sale price to any Hot Dog Mafia Member but there is a limited supply of each. When they are gone they are gone. As you can see they are subject to availability and current quantities are listed – once all available units of any particular model is sold out, then the price will update automatically on our site. Please do not call and ask. If it shows the price, then there is at least one available. There are no discounts for multiple purchases as we hope many people will be able to take advantage of our biggest sale ever! Unfortunately we can not do layaways. We can not accept deposits/partial payments on any of these closeouts. All sales must be made in full. When we run out, the special pricing will end. No additional discounts will be applied. First come, first serve basis only. Financed orders will only receive the special pricing while quantity remains and must be paid in full by Dec. 19th, 2017. Order cart and system will recognize your a Mafia member.